Contest: We Have 5 Chromecasts to Give Away! So, I’m not exactly sure why there are five unopened Chromecast devices sitting on my desk, but I do know that they need to go away. And that means you have a chance to win one. Well, five of you have a chance to win one since there are that many sitting here. Even though the price shock and impulse buy-worthiness of the Chromecast has disappeared a bit since launch, it’s still one of our favorite new tech products of 2013. The potential is here, we just need Google to open it all up. This is your chance to get in on that potential without spending a dime. As always, the contest is incredibly simple thanks to this little contest app called Rafflecopter. We’ve given you four different ways to enter using the form below. Don’t feel like you have to do all of them, but the more you do, the better your chances of winning. Ready? 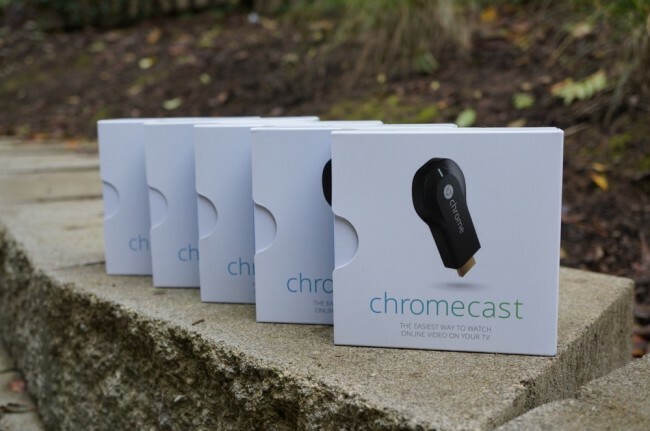 Prizes: 5 (five) Chromecasts for 5 different winners. Tomorrow at 10AM Pacific, we’ll choose our 5 winners at random.